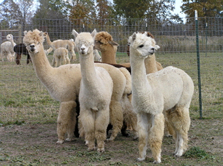 Tigh Mhor Alpacas located near Inverness Scotland is an Alpaca farm where male Alpaca enjoy calling home. From a glance we see that the Alpaca of Tigh Mhor Alpacas are not used for breeding purposes, but rather they are kept for their fleece which is turned into wonderful Alpaca made clothing. 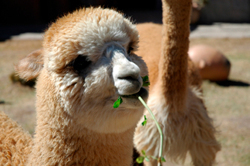 For more detailed information and many colorful photos of the resident Alpaca of the Tigh Mhor Alpacas farm, be sure to visit their Blog Web Site. 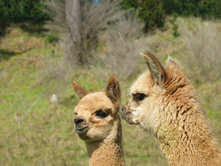 We would love to hear from the owners of the Tigh Mhor Alpacas so we can improve their listing here on AlpacaPictures.org perhaps with some photos of their Farm and Alpaca, including any further details that they may want to include on this web page.